Work for the best Cleaning & Restoration Company in the state of Michigan! 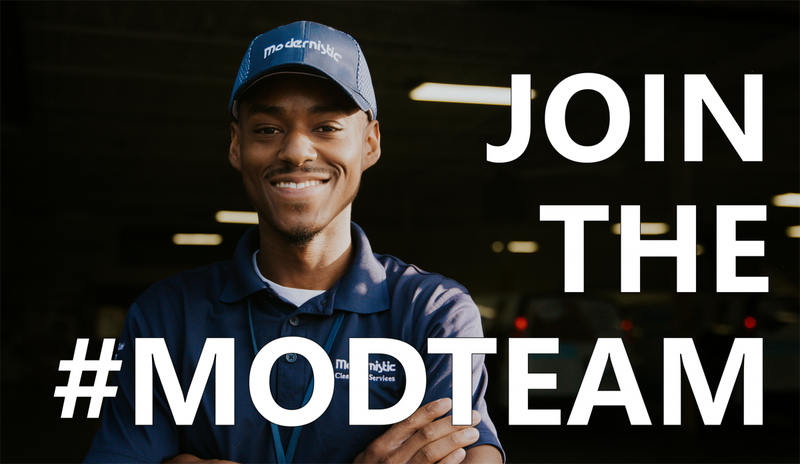 Our team is looking for individuals who have passion for the service industry and working with the public. Effective communication & listening skills are HIGHLY valued and mandatory for this position. Individuals who possess exceptional telephone etiquette, a positive attitude, common sense, and a smile that can be heard in their voice are individuals we want to meet. Most work is completed through scheduling software and requires intermediate to advanced computer skills. Attention to detail and follow-through are a must for anyone looking to shine and represent Modernistic’s core value of Customer Delight. Providing our customers with an exceptional service experience when they call Modernistic! Happily answering incoming calls from customers and providing them with exceptional service. Make Quality Assurance Calls to ensure each customer is happy with the service they received. Routing scheduled appointments with a focus on tight fuel and time efficient routes for our technicians. Determining the cause of the problem, selecting and explaining the best solution to solve the problem, expediting correction or adjustment; following up to ensure resolution. Prior experience working in a customer centric environment, call center experience is a plus. Previous experience in the carpet cleaning, water restoration, air duct cleaning or sales industry. Sales experience; you will be selling the company and our services to many price-shoppers. Accurate, Organized and Detail Orientated; it may sound cliché, but it is essential with every aspect of this job. Result Driven! Great results are what keep us in business. Creative! We LOVE an open mind and forward thinking. Simple math skills; we give a lot of price quotes. Basic knowledge of surrounding metro Detroit counties is very useful. Modernistic has been serving Michigan for over 43 years. From the beginning, we have been dedicated to delighting our customers with caring employees. As the company continues to grow, we are looking for additional customer service ‘gurus’ to join our hard working team! This position requires working some Saturdays, some Sundays and some afternoon shifts (of 10 am – 7:00 pm) on a rotation basis.